Yes, I've started another quilt - OK it's a sickness. I really can't help myself since I have beautiful fabrics pouring into Sew and Quilt quite regularly it's very hard not to dream up quilt ideas for them all. These blocks below will be turned into a double irish chain quilt for our bed, I've had the Scrappy Trips on their for a while and although I love it - I've been wanting something a little softer. So for this project I've chosen Happy Go Lucky Aqua Penny Dots, along with some Kona Lemon and Kona Snow. I'm hoping it will all work together nicely as it's a big quilt! It's going to finish at 88" square, yikes! I got the pattern from a book my mum picked up for me at the carboot earlier in the summer. It's called Quilts Around The Year and it's got lots of traditional projects which are themed by the season. I really love most of the projects actually and I am particularly taken by the Rose Wreath quilt from the front cover, I've never thought of trying appliqué before but this has really got me itching to try it sometime. I don't think I could manage a whole quilt top but a small wall hanging could be achievable!? I've also been inspired by the many quilts featured in a beautiful turkey red and green colour-way, I will definitely be using that in some up-coming Christmas projects this year. So all 64 blocks are complete! and now for the fun part, sewing it into a quilt top - I love this part, it's when it all starts to take shape and you can really see what it's going to turn out like :) I'll hopefully be able to post a finished quilt top soon! Hope you're all having a great week. how pretty and fresh looking this is going to be, lovely ! I have wanted a irish chain quilt for so long...I can't wait to see your finished project!!!! Love the blue and yellow! Hi Jesse! I love your pretty blocks. Those will be sweet sewn up into the Double Irish Chain. I used to be continually reverted to being a no reply blogger while using Google, so I switched back to my Blogger profile and no long have that problem. It gets quite aggravating! Love these colors together. It is going to be beautiful! I've just found your blog and I'm so glad that i did. It is so inspirational. I've always loved quilt work but so far I have never been brave enough to begin one myself. But looking at smaller projects like your potholder, I think I may just start. Oooh! Blue and yellow- a classic colour combination! Ooh pretty colours! Love older quilting books. 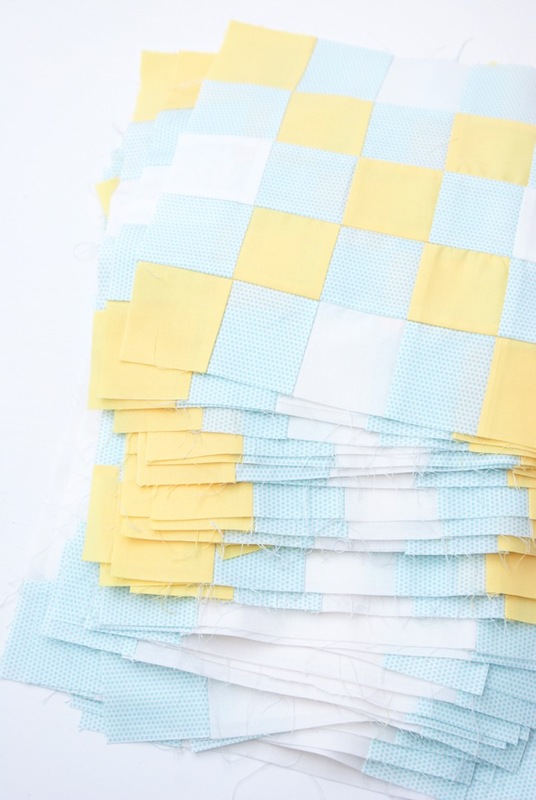 Your quilt will be so pretty and fresh looking. 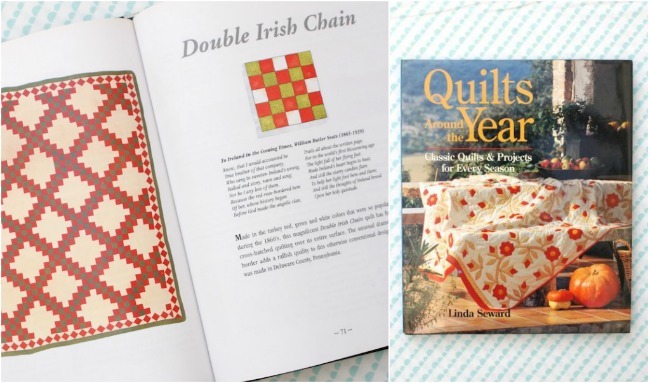 I love double Irish Chain and other traditional patterns.they always look so perfect.